Mary Elizabeth Cochran shares her unique experience - from rabid follower to someone close to the band's inner sanctum. I’ve been a Wilco fan for over 20 years. Devotee might be a better word. Or rabid follower. Any way you slice it, I love ‘em. I’ll never forget the first time I saw Wilco live. It was 2003, and the band had been together for eight years, but I had never seen them play. The show was in Oxford, Mississippi, where I was living at the time. Home to the University of Mississippi (better known as Ole Miss), Oxford is a creative hotbed, an incubator for writers, artists and musicians. Wilco bassist John Stirratt started playing in bands while he was a student there in the 1980’s. He and Wilco founder Jeff Tweedy had played several shows in Oxford with their former band Uncle Tupelo, but this was the first time Wilco had come to town. Everyone was thrilled, not only to see John make a triumphant return with a killer band, but because Wilco had released the album Yankee Hotel Foxtrot a year earlier. The album sent true fans into overdrive, and brought the band to the attention of a much broader and larger audience. The show was in a relatively small, dark, crowded bar called The Library, which has since expanded into a huge playground for drunken frat boys and sorority girls. The room was buzzing, the energy palpable. Opening for Wilco was the late, great Mississippi blues legend T-Model Ford. T-Model was a character. He was an amazing storyteller, a ladies man, and a force to be reckoned with. He was the real deal when it came to singing and playing the blues. T-Model wowed the crowd and made us laugh, as he always did. Wilco couldn’t have asked for a better guy to warm up the crowd. When the band came on, they hit the ground running and blew the doors off. Everyone was going crazy and singing along, which fed the band’s energy. It was a truly mutual experience. To see Wilco perform in such a small space, much smaller than they would normally play, was not only intimate, but a gift. The band came just because they loved Oxford, and to see old friends. It was one of those magical nights that don’t come along often, and cemented my obsession. Fast forward to 2005. I’m newly married and my husband, who is a writer and musician, not only lived with John Stirratt during their days in Oxford, but John’s twin sister, Laurie, played bass in my husband’s band. 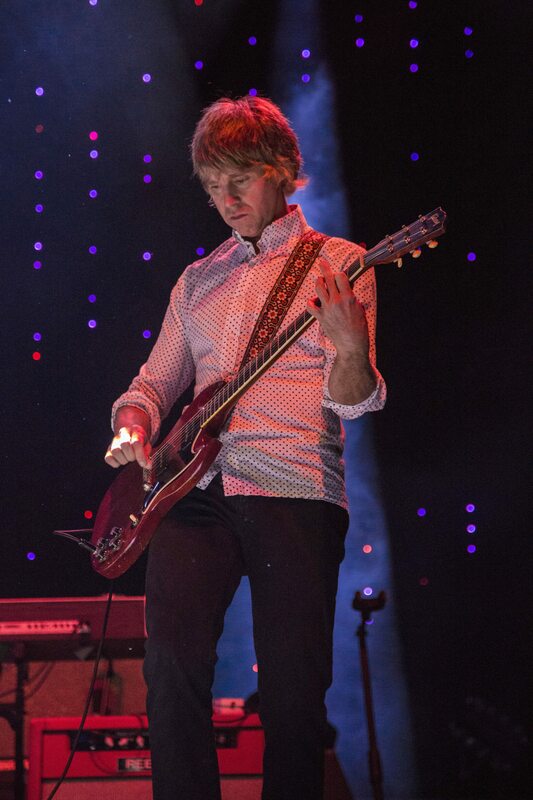 Multi-instrumentalist Pat Sansone, who hails from Meridian, Mississippi, had just joined Wilco. He credited my husband, who worked at a well-known record store in Jackson, Mississippi in the 1980’s, with turning him on to Memphis legends Big Star, led by the inimitable Alex Chilton. Big Star would end up being Sansone’s biggest influence. After much prodding (and probably whining), I convinced my better half to tag along with me to a Wilco show in Memphis. The band was touring to support their record A Ghost Is Born. He was reluctant because no musician wants to see his wife go fangirl crazy over a band his friends are in. It’s just not cool. Despite his feeling a little bit uncomfortable, he was a good sport and off we went. He called John Stirratt just to let him know we were coming, and when we got there, I was beside myself. We were given all-access passes, VIP treatment, the whole deal. It was an incredible performance, and the boys were firing on all cylinders. Afterwards, we got to hang out backstage and on the tour bus, and then we went out on the town with John, Pat Sansone and a couple of gals. We hung out at Raiford’s Disco, a Memphis institution with a floor made out of lit-up squares, like in Saturday Night Fever. We had a blast and I didn’t embarrass my husband one bit. I felt like I was living in a dream and that night will hold a very special place in my heart and mind. 13 years later, I’ve managed to hold onto the tour t-shirt I bought at the merch table that night, and I still wear it once a week. Going to that show in Memphis also produced an unexpected bonus: my husband really dug Wilco’s music and became a believer. In the following years, we saw them every time they came down South, and as I got to know them better, I fell in love with how down-to-earth they were. My husband and I spent a lot of time talking with the guys about records and what each of us was listening to. They were music nerds, just like me, and I had to admit I was lucky as hell that my husband had such cool friends. The Wilco you see today has enjoyed a lot of success, critically and commercially, but that didn’t come without a fight. In 2002, they found themselves involved in what seemed like an impossible situation, as documented in the film, I Am Trying To Break Your Heart. It surrounds the recording of what would become their seminal album, Yankee Hotel Foxtrot. Director Sam Jones and his crew provided an all-access pass as we watched Wilco make the record of their dreams, only to get blindsided by their label, Reprise, who deemed Yankee Hotel Foxtrot too much of a departure from the band’s sound. Before I get too far into this story, let me backtrack a bit. Wilco’s leader, singer/songwriter/guitarist Jeff Tweedy, spent his younger days heading up the groundbreaking 90’s alt-country band Uncle Tupelo with Jay Farrar. John Stirratt joined Uncle Tupelo just as the outfit was starting to fall apart. Tweedy and Farrar eventually parted ways, each forming their own bands. Wilco was born and Stirratt was asked to come along. He is the only remaining original member of Wilco (besides Tweedy, of course) and endured what was for many years a rotating lineup of musicians. Wilco’s first album, A.M., stuck to the alt-country formula. 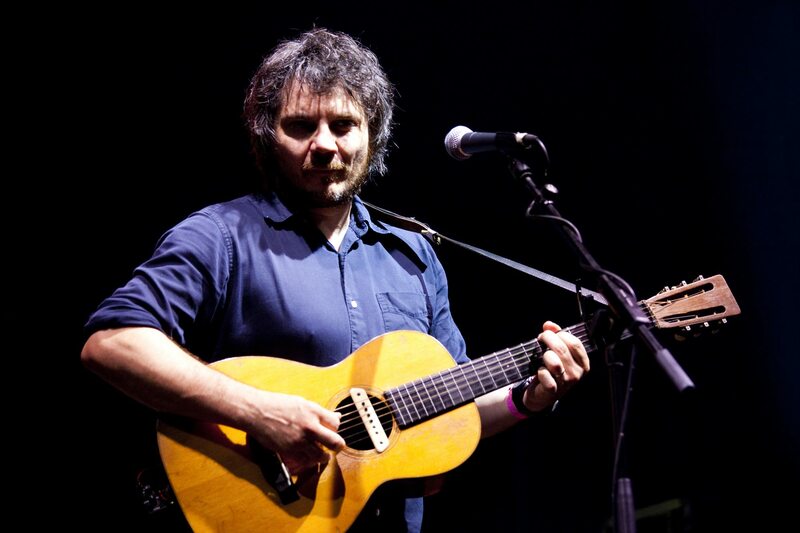 The follow-up, Being There, suggested growth and movement towards a different sound as if Tweedy was searching for his voice but hadn’t yet found it. Their third offering, Summerteeth, while dark and showing glimpses of things to come, was still digestible for the Uncle Tupelo fan base that had followed Tweedy as he set out to separate himself from his past. Tweedy’s lyrics on Summerteeth were insightful and raw, written during a dark time in his life and his marriage. By the time Yankee Hotel Foxtrot came along, he was ready to shake off the alt-country yoke once and for all. The cameras rolled into the studio as Tweedy did a complete 180-degree turn creatively, penning songs and creating sounds and spaces completely unique and revolutionary, inspired by his true love: real rock and roll. Influenced by bands like Television and Richard Lloyd’s guitar playing in particular, Wilco pulled out all the stops, experimenting with different instruments and with feedback and noise. The album revealed the incredible musicianship of the whole band, whose members were clearly excited about following Tweedy as he explored new territory. 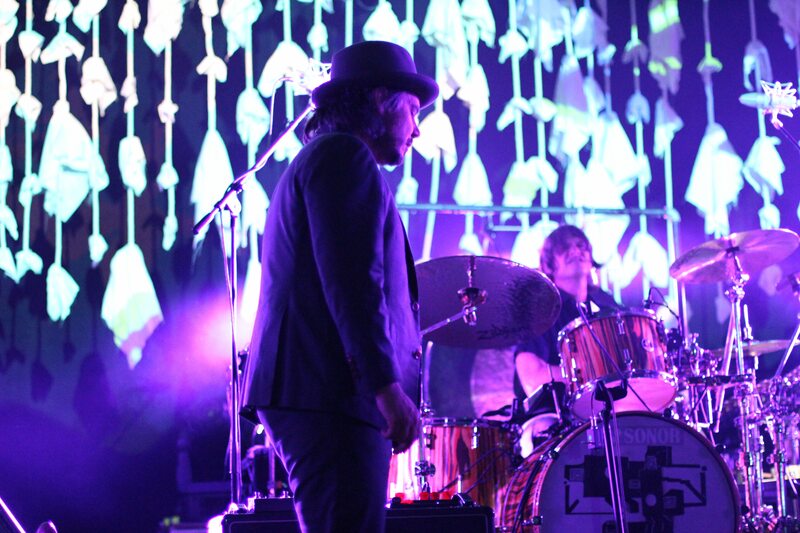 Not longer before, Wilco had taken on a new drummer, Glenn Kotche, replacing original band member Ken Coomer. Kotche is not your average drummer—he’s amazingly gifted, and with that kind of backbone in place, Tweedy was free to create complicated rhythms and flex his songwriting muscles like never before. Despite the fresh blood and creative highs, tensions were growing within the band. Guitarist Jay Bennett, who was brilliant but wasn’t satisfied in his role, became frustrated as he wrestled with Tweedy for control. A ship only has one captain, and the decision was made to dismiss Bennett. 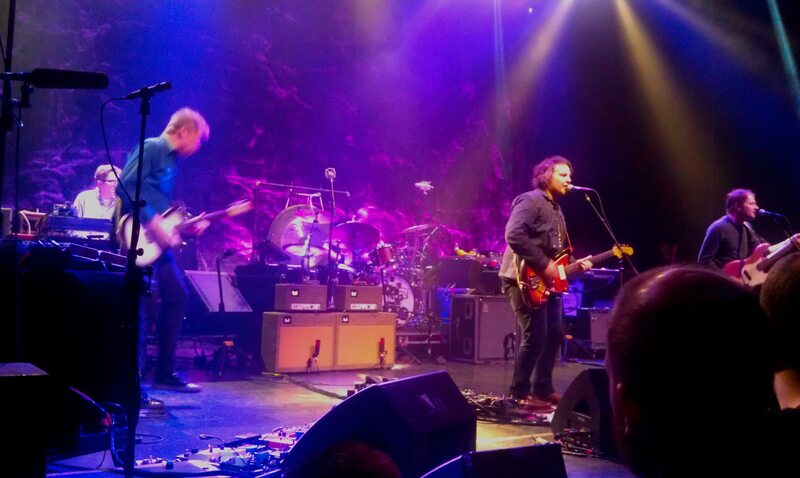 Wilco finished Yankee Hotel Foxtrot and were extremely proud of what they had accomplished. They took a chance, and they were sure it was going to pay off. What happened next sent shockwaves throughout the Wilco camp. The band’s label, Reprise Records, hated the album. 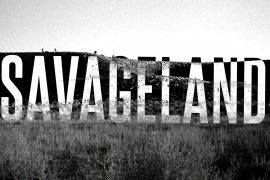 They were expecting an alt-country record, something easily digestible and for the masses, and flat-out refused to release it. The band was crestfallen and unsure of what to do. Tweedy felt rejected, and it looked like Wilco was stuck in a no-win situation. Then, shockingly, and despite the fact that the label had paid through the nose for the recording and production of the album, they allowed Tweedy to walk away with full ownership of the recordings. No strings attached. Just like that, he was free. Stunned and giddy, Tweedy began shopping Yankee Hotel Foxtrot around, and Nonesuch Records stepped up to the plate. Tweedy dug the label’s enthusiasm for the record, and their willingness to stand behind it, and him. Pen was put to paper and the deal was done. Now we get to the good part—the plot twist. I swear you can’t make this stuff up. Reprise is a division of Warner Music Group. Nonesuch is also a division of Warner Music Group. By signing Wilco to Nonesuch and buying Yankee Hotel Foxtrot, Warner ended up paying for the same album twice. Twice! Oh, the irony. In the film, Tweedy and the rest of the guys are clearly pleased with themselves and how the situation turned out. Redemption. Validation. 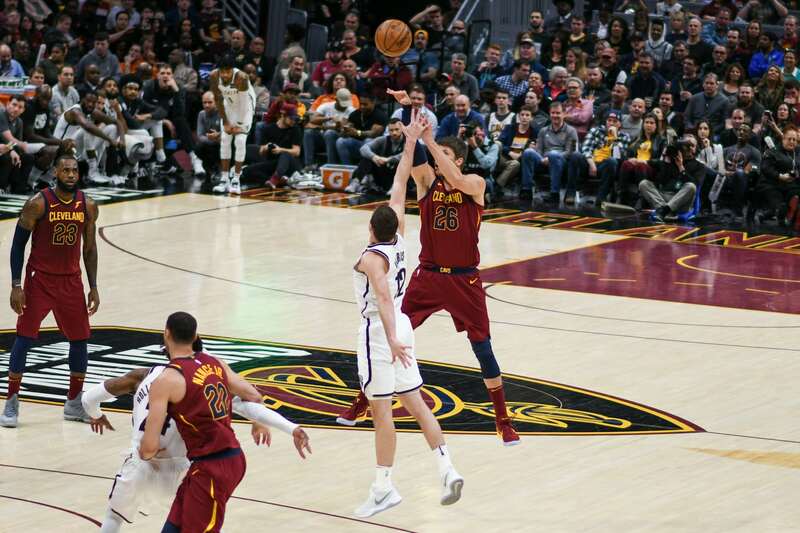 Karma. And a good laugh. For the band and the viewer, the ridiculousness of the music business was laid bare. I doubt Tweedy or anyone in the band was surprised that Yankee Hotel Foxtrot was a divisive record for Wilco fans. What Reprise wanted was what a lot of fans wanted, too—the alt-country jingle-jangle of Tweedy’s youth. As a result, many of the Uncle Tupelo types broke away, claiming Tweedy’s music was too weird and edgy. But a lot of new fans came on board just because of that record. For the rest of us, it was like a rock and roll bomb went off. It hit hard, and you either got it, or you didn’t, and if you didn’t, tough luck. Tweedy proved true the old cliche about risk and reward. Great artists take chances. Sometimes they pay off, sometimes they don’t. But neither art nor artist can be stagnant and survive. There has to be growth, and change. If you want to hear the same thing over and over, Wilco is not the band for you. These guys live to make music, and make it well. It’s their craft. They’re not interested in being on the radio. (They aren’t.) They love music. These guys are rock and roll junkies, big-time fans who are able to take their influences and produce something unique. They make the music they want to hear. In the wake of Yankee Hotel Foxtrot and Jay Bennett’s exit, Stirratt suggested bringing on Sansone, his bandmate in The Autumn Defense. In 2004, Sansone joined, and Wilco also picked up savant experimental jazz guitarist Nels Cline. 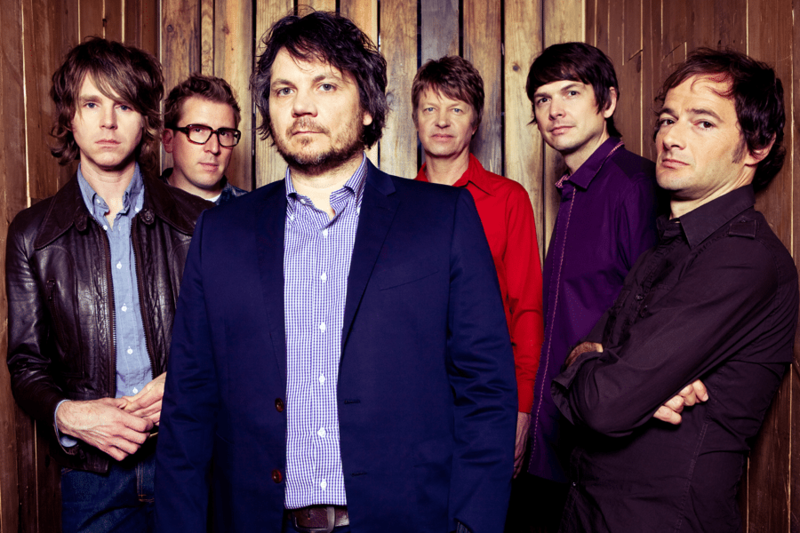 Sansone, Cline, Tweedy, Stirratt, Kotche, and keyboardist Mikael Jorgensen became what is the permanent Wilco lineup. Together they’ve produced great record after great record including gems like Sky Blue Sky, A Ghost Is Born, and The Whole Love. I’ve had the pleasure of seeing them many times since that first show in Oxford. I was lucky enough to watch them perform at the Ryman Auditorium in Nashville with John Doe from X opening. Jeff Tweedy wore a Nudie suit. It’s rare for bands to have the longevity that Wilco has enjoyed, and when they’re on stage, it’s easy to see that they still get a kick out of what they do. Their growth as a band has been fun to watch for a fan like me. A fan for life. Wilco, I love you, baby. 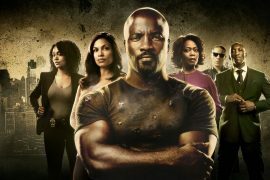 Luke Cage: A hero can save the day, but can one man carry a show? 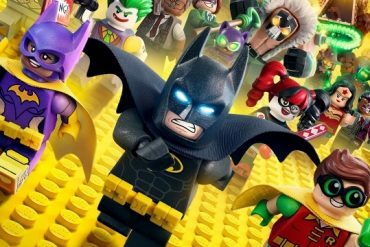 Next articleDid Jimmy Fallon and Lin-Manuel Miranda Just Create the Anthem for Summer 2018?